Gummy smile also referred to as excessive gingival display, is a name for the easily visible gum tissue above the top teeth when smiling. 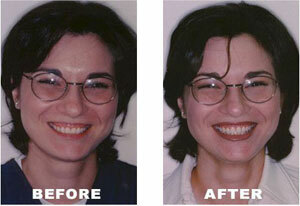 We understand that having a gummy smile can make a person very self-conscious, causing them to hide their smile. We won’t let that be you — and thanks to new advances in dental technology, in combination with our team of unmatched professionals, it doesn’t have to be! We offer treatment options that will give you your confidence back. Having hyperactive muscles that are responsible for the movement of the upper lip. This can cause the upper lip to stretch farther than normal when smiling or talking, displaying more gum. Improper development of the upper jaw can cause more gum to be shown. This may be caused by the jaw bulging outward a bit more than usual. 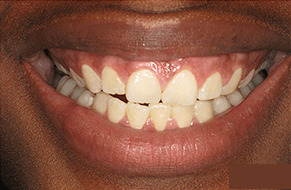 Abnormal eruption of teeth can cause the crown length to look short. 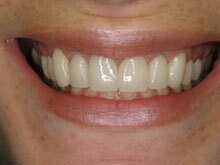 Though the teeth are a proportionate length, they may be covered too much by the gums. Regardless of the cause, you do not have to live with a gummy smile. Let us work with you to determine the underlying cause of your gummy smile to provide you with the proper treatment plan. You will leave our office with the smile you’ve been dreaming of! Gummy smiles can be treated through a number of ways. In order to decide which treatment option is best, our specialists will examine your mouth, teeth, and gums to determine the cause of the gingival display. Gum treatment options include traditional gum surgery (osseous surgery) and laser gum treatment, such as LANAP/LAPIP. Traditional gum surgery is the most common procedure for periodontal issues, however, with advances in technology, new and innovative procedures are used routinely. Laser gum procedures use laser technology to remove the infected gum tissue, while gum surgery uses scalpels to cut and remove the infected tissue. Osseous surgery, also known as traditional gum surgery, is a procedure that involves the use of a scalpel and general aesthetic must be taken. It is often the first step in treating periodontal disease. 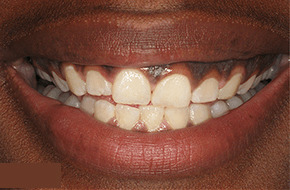 It is a traditional procedure that eliminates gum pockets by trimming away the infected gum tissue and diseased bone. Reducing the depth of the gum pocket and removing the harmful bacteria is essential for reducing the decay or prevent further damage. Unfortunately, this procedure can ruin healthy gum tissue and does require sutures. LANAP/LAPIP is a less invasive procedure compared to traditional gum surgery. The procedure utilizes laser technology to gently reshapes the gum tissue and lengthens the crown. It is a comfortable procedure and the results are immediate. The LANAP procedure removes the bacteria infected gum tissue and reattaches healthy tissue to the root of the tooth; this seals off pockets and gaps where bacteria normally hides and manifests. 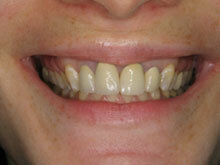 The result is healthier gums which promote long-term maintenance and decreases the progression of periodontal disease. 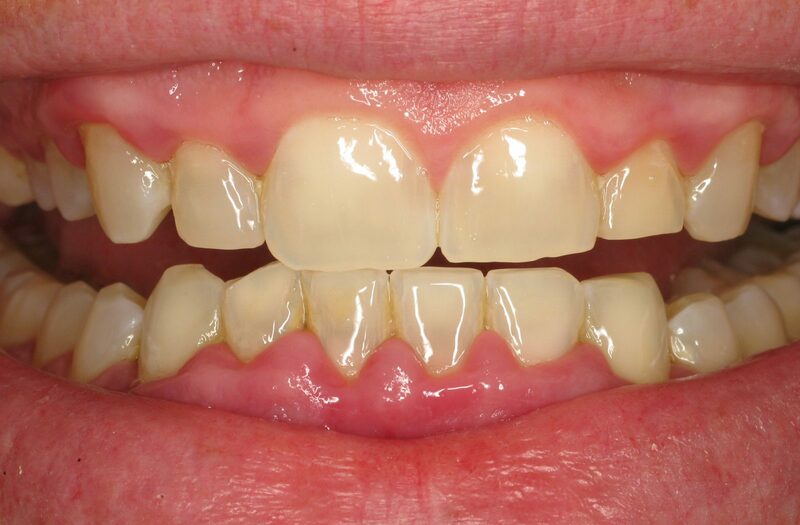 View this page to learn more about the advantages of laser gum treatment. Laser gum reshaping procedures have a number of advantages over conventional surgery. They are essentially painless and bloodless while requiring little or no anesthesia and limiting overall invasive effect on the patient. 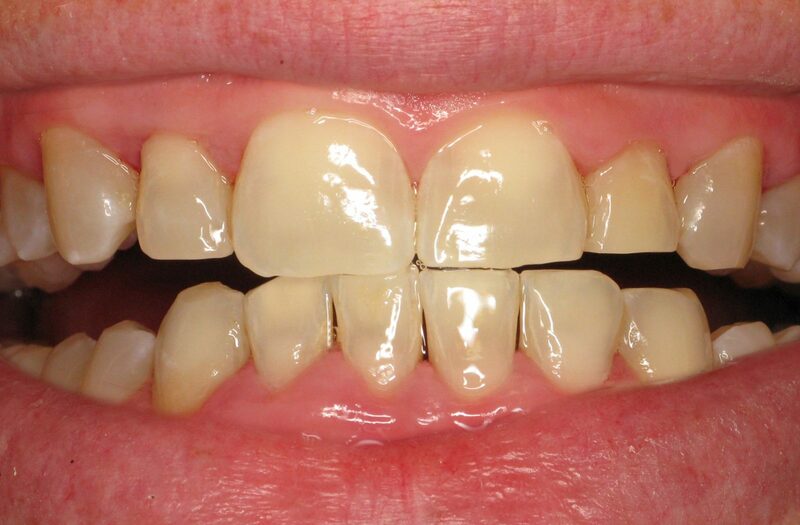 Laser surgery can be used for correction of uneven gum line with or without subsequent restorative dental work, such as porcelain crowns and veneers. The benefits of LANAP™ are endless, including minimal discomfort and swelling, long-lasting results, and much more. If you are looking to correct your gummy smile and are unsure of you treatment options, consult with one of our periodontists and call (877) 316-4330.